A constant and growing taste of success has strengthened us to build our quality web around the globe. With a tight grip on markets in India, we have earned applauds in every market we have touched. Backing up with years of experience and confidence of innovation, Empire Techno Engineers Pvt Ltd has now entered the international market. 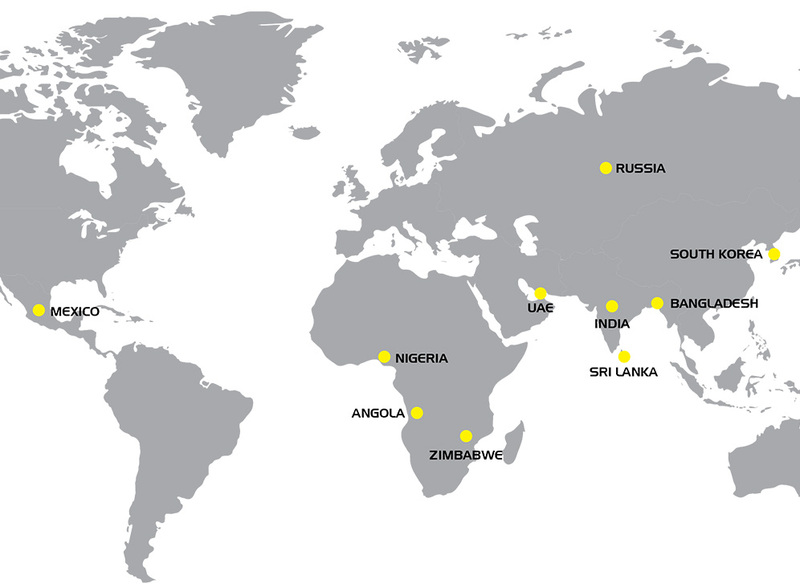 With a strong presence in Middle East, Sri Lanka and Africa, we are widening our horizons to soon have a worldwide presence. Consistent with Client Satisfaction Policy, we take special care to ensure that all possible support is provided to clients in the best and innovative manner, taking the client’s business goals into consideration. Our passion to serve has earned us the Big shots of the tyre industry as our clients along with our regular but equally important clients. To be brief, Empire Techno Engineers Pvt Ltd is the real power behind every wheel.